In these days of talking television heads, blow-hard politicians and radio chickhawks who seem to have no problem putting others in the way of harm, it's refreshing to see someone who is a true badass get the recognition they deserve. 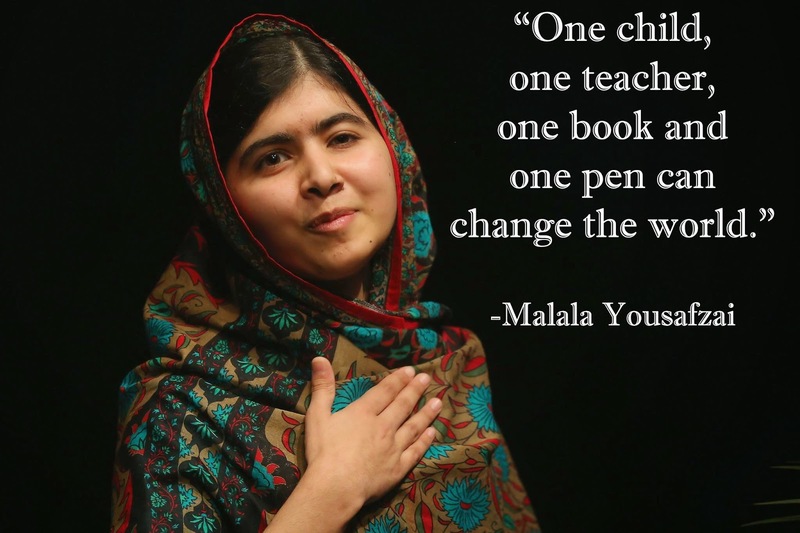 To that end, I present 2014 Nobel Prize winner Malala Yousafzai. How much of a badass? Well consider this: she is lives in an area where militant Islamic terrorists basically say "if you teach girls to read we will burn their schools down, kill them and then kill you". So what does this young lady do? She goes to school anyway and blogs about the right girls have to an education. Previously mentioned terrorists then shoot her in the head. So again, what does this young lady do? She gets better and basically raises a (figurative) middle finger to the terrorists and (figuratively) says "Hey, Islamic Terrorists, F&^k You!" and crusades even louder for the education of girls. There is a world full of public toughs who could learn a lot from this young lady. Well done Malala, well done.